Time for another “old man shakes fist at sky” moment. Trust is in short supply these days. Trust that you can express yourself freely. 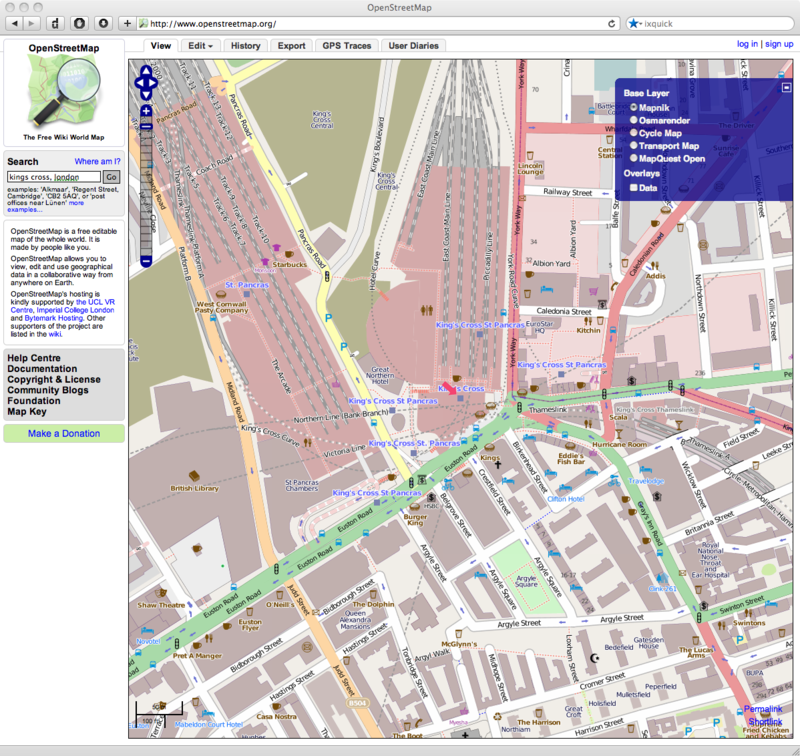 OpenStreetMap.org, which has a bunch of alternative map providers, and can be updated (to what extent, i’m not really sure) by users. The UI is using the tiled ‘drag to scroll’ metaphor that seems to be the current state of the art for mapping. It’s probably not yet the answer if you’re in Japan (the maps are there, but the search doesn’t seem to cope with kanji input), but maybe someone will take an interest and tidy things up. Finally, Glims gives me a way to change the default search provider, and configure other search providers as needs. The install is also rather nice as it gives you an option that installs only the bits you might be interested it. This is good as Glims seems to be one of those ‘do *everything*! !’ plugins. – nameserver lookups–if my ISP is logging all lookups then obviously that’s a risk. In order to get around that i’ll need to either run a local DNS (urgh, no doubt there is a lot to learn there…), or find a DNS service provider that a) has a reasonable data retention policy b) is trustworthy. – regular traffic–the ISP could easily be logging all of the requests that i make. If there is a host out there that i do trust as an exit point (trust not to maintain a log of my activity) then running a VPN / tunnel to that point would be acceptable. At best my local ISP would know that i was communicating with the VPN host, but would know nothing about the traffic moving through the VPN. Unfortunately i don’t have access to such a VPN host, and given the traffic costs involved, can’t imagine that they are out there and cheap to use. The other option is to use Tor. I’m still rather reluctant to do this… it seems like it may well be a step to far (similar to contemplating running a DNS server…) given that i’m not actually attempting to do anything illegal, or actively evade detection. My only goal here is see if it’s possible to opt out of a system of pervasive surveillance and monetization of my activity. I’ll set up Tor and see how unbearable it makes life… running an exit node is out of the question given how little i know about the state of Japanese ‘net surveillance. The last thing i’d want to be doing is to be unknowingly feeding the machine.